I've used the Fender 351 medium picks since forever. I dimly recall trying heavy Fenders for a while years ago. Last week I decided to experiment with some different ones, thicker, nylon or hard plastic. 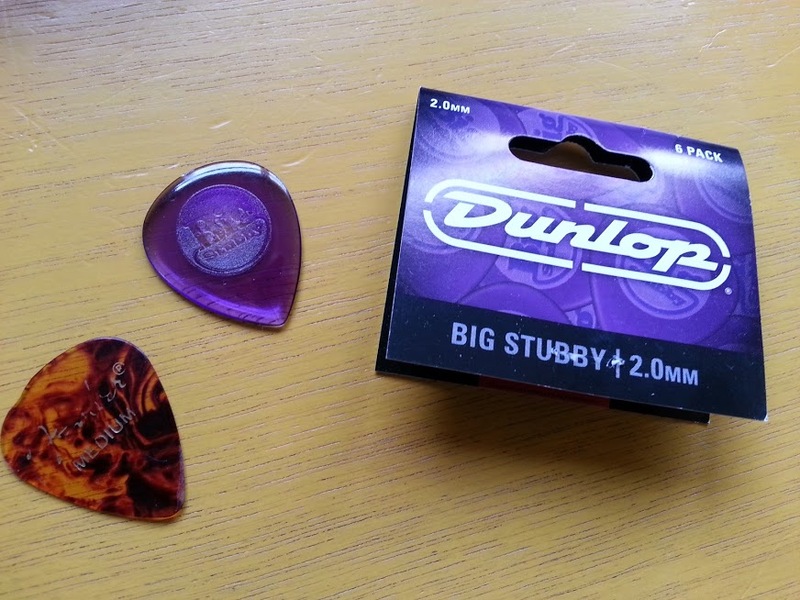 The winner is this Dunlop Big Stubby (2mm), a thick, hard plastic pick with a bit of an indentation for holding it. It seems the key is that harder, thicker picks need to be pointy. In comparison the Fender mediums feel floppy and tentative. The sound coming from the guitar isn't much different.